Built in 2000 by CBI Navi Novela boasts a large volume and a host of features that are sure to appeal. Originally featuring design and engineering by Luca Dini Design, she was reborn in 2013 with a major refit overseen by designer Sasa Milosavljevic and it is hard to believe her space and amenities when compared to other yachts her size. 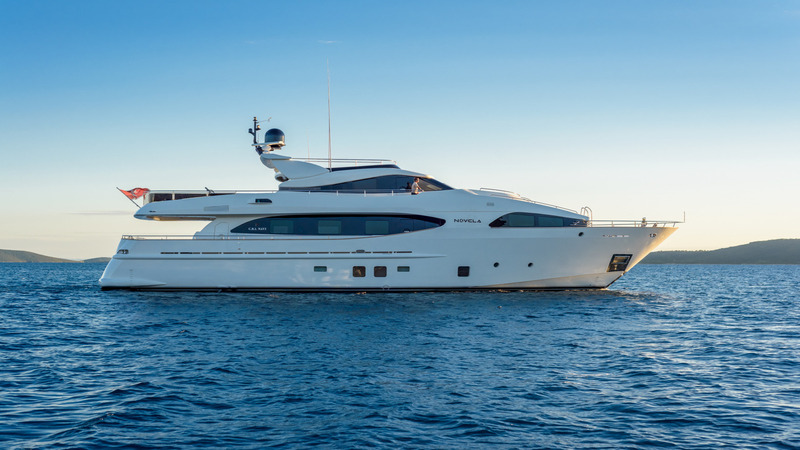 Currently based in Croatia, which is a must-do cruising destination, her many assets include her outstanding crew of four who are known for their charter excellence.